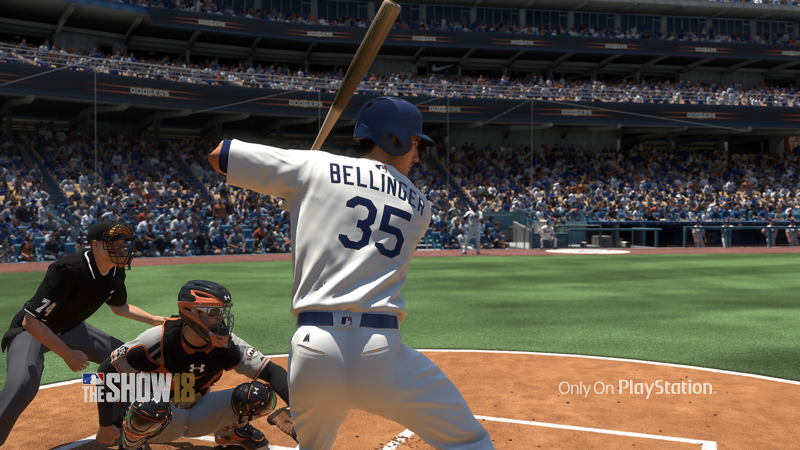 MLB The Show 18 update 1.05 is now available, and it should fix some of the online issues that players have been having. In addition to slightly increasing pitch speed across all modes, the update also fixes a nasty bug that was causing inaccurate ground-rule double calls. There’s also a change to the Conquest map, and some Road to the Show improvements. Slight increases to pitch speed across all gameplay modes. Fielding animation adjustments to the user controlled fielder to catch more balls just outside of the ball marker. Fix to an inaccurate ground-rule double call, specific to the bullpen areas of NYY Stadium. Fixes to several online in-game soft locks, caused by both users pausing or entering quick menus at the same moment. Fix to an in-game crash involving the button accuracy throw meter. Visibility improvements to the map in Conquest mode. RTTS training attribute adjustments to assure pitchers are gaining training points and distributing them correctly to secondary pitch types. Stabilization of select online and offline UI menus, where users were soft locking following certain timing-specific menu navigations. It’s really too bad that MLB The Show 18 launched in its current state. Nearly everything about the game, from how it handles difficulty to making sure every part of baseball feels dynamic, is handled brilliantly and is the result of years of hard work coming together. That amount of polish makes it all the more jarring that Sony has failed to get the online working right after so many iterations of this yearly series. It very well might be the best baseball game ever made, but it has to come with a huge asterisk at the moment. MLB The Show 18 update 1.05 is available now.